Social media is a big part of today’s world. 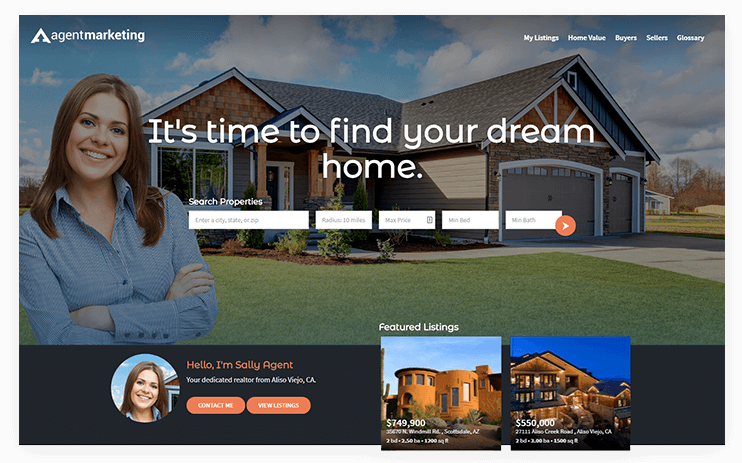 In our system, we have ways to post to social media, share to social media and connect to social media to help you and your listings get more exposure. Social Media URLs: In this section under your Account Options, you can put your different social media URLs. By adding in your URLs, it allows you to add buttons to your pURL (personal website), Bio and Blogs. Then when people visit your personal website, your bio or one of your blogs, they can click on the social media buttons to go straight to your social media page. This is a great way to get more exposure to your different social media pages. 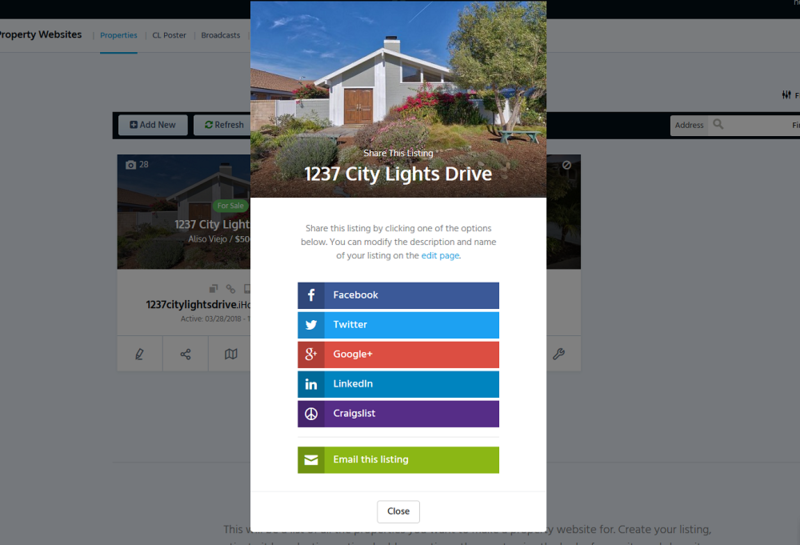 One Click Social Media Posting: We created an easy way to share your listings to your different social media pages. It creates a nice post of the listing without you having to do any of the work! This is a great way to get your listing out to more places, and of course, that means more exposure. You could also just copy and paste the property website URL and post to social media as well. Open House Announcement to Facebook: If you add open house dates to one of your listings, we create a really nice Open House Announcement page for you to post to Facebook. 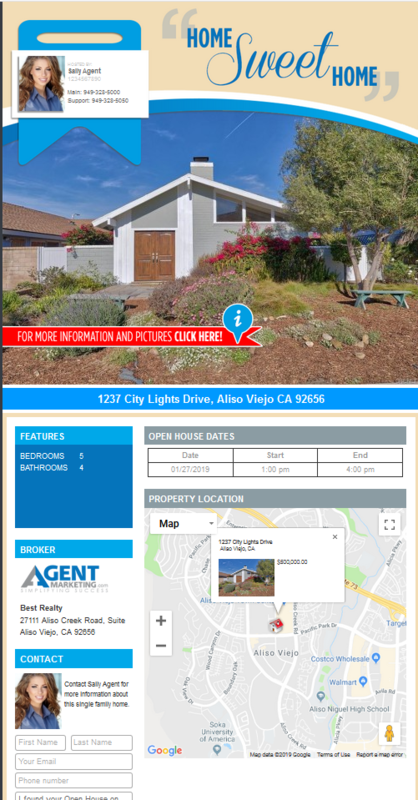 This Open House Announcement gives the date(s) and times of the open house, a map of the location of the home, a lead generating section someone can fill out for more information from you – the agent, and the ability for them to click through to go directly to the property website. Instagram: You can use one of the photos of the listing to upload to Instagram, add a little description or other comment about the listing, and put a link to your personal website (or other URL) in the bio part of your Instagram. More exposure again! You Tube Videos and Channel: We automatically create a You Tube video for your listing when it is activated (available on most plans). We take the photos from the virtual tour and create the video. The video includes photos (in the order of the virtual tour), the text code (lead generator! ), the URL for the property website in the description, and your information. If you want different photos than in your virtual tour, you can always arrange the photos just for the You Tube video (under Tools for that listing). We highly recommend having your own You Tube channel and authorizing us to post to your own channel. Another benefit of having your own channel is using it as a book of business of sorts. 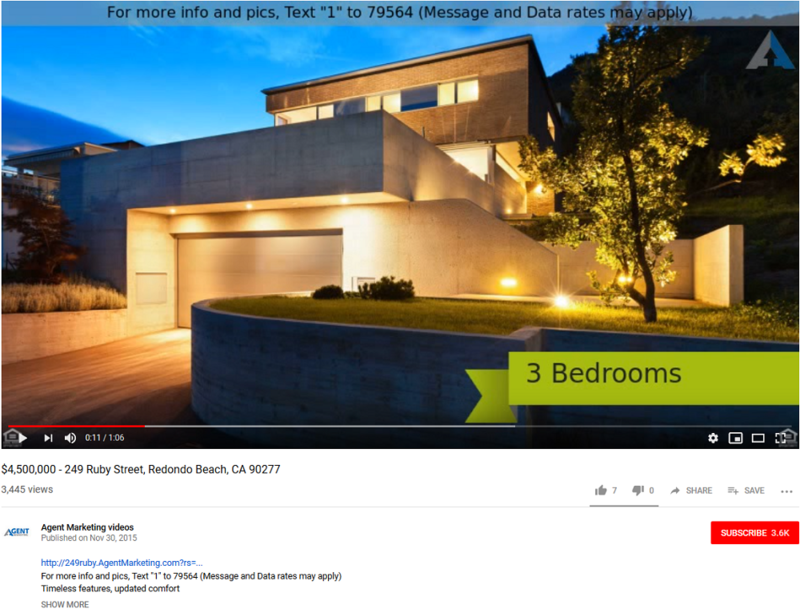 For example, when you go on a listing presentation, you could pull up your You Tube channel and show them past listings and an example of the awesome You Tube video you can create to help promote their listing! The You Tube video does help with SEO, but you can also take the video and share to your social media sites too. Personal Website URL: Don’t forget about posting your personal website to social media too! Putting your personal website URL on social media and any other site you can helps with exposure too. Our Leads Management Tool Helps Keep You OrganizedMore Lead Generation with Squeeze Pages!